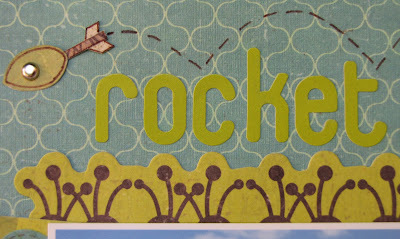 The title is "rocket" and not the Spanish "cohete", as my daughter uses the English word for it (growing up bilingual, although she speaks 99.9% Spanish at home, there are some words she prefers in the English version, this one in particular is probably a result of her love for Little Einsteins, which she watches mostly in English). 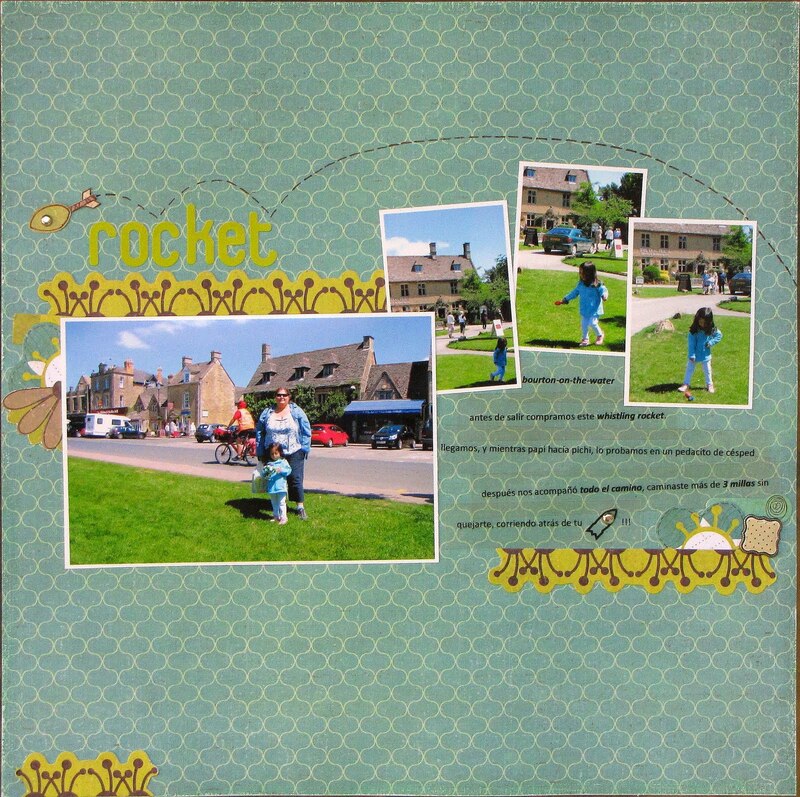 We bought that "whistling rocket" before going on a trail joining the lovely towns of Bourton-on-the-Water and The Slaughters. It was a long walk for her, but with the help of the rocket, throwing it and running to see who could catch it first, she didn't mind at all! 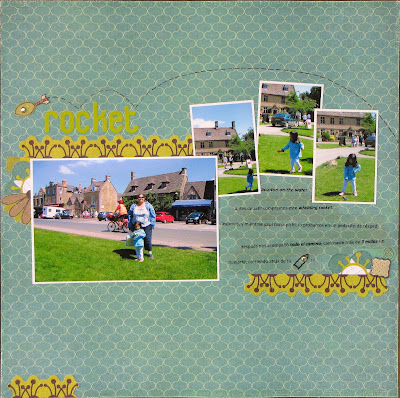 I paper-pieced a whistling rocket to fly above the title, and used a rocket clipart to replace the word in the journalling. 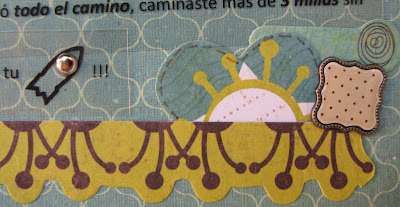 I printed the journalling strip on a transparency and I was going to cut them thinner but then decided to overlap them, as I liked the effect. Wow! I think your layout is absolutely gorgeous!!! Cute layout! Love that background paper and the trail after the rocket!